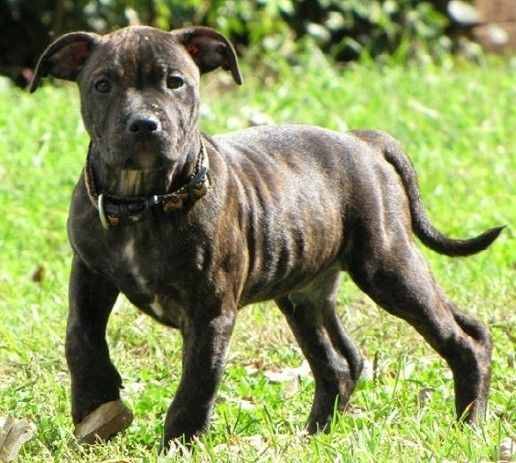 Medium in size, with a muscular built and courageous demeanor, the Staffordshire Bull Terrier is a pit-bull kind of dog, originating in England. 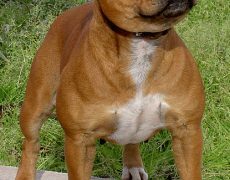 These sturdy dogs pose an amazing appearance, characterized by a short, broad head, well-muscled cheeks, medium-sized, dark eyes, half-pricked, short ears, muscular neck outlined cleanly and a short tail tapering to the end. 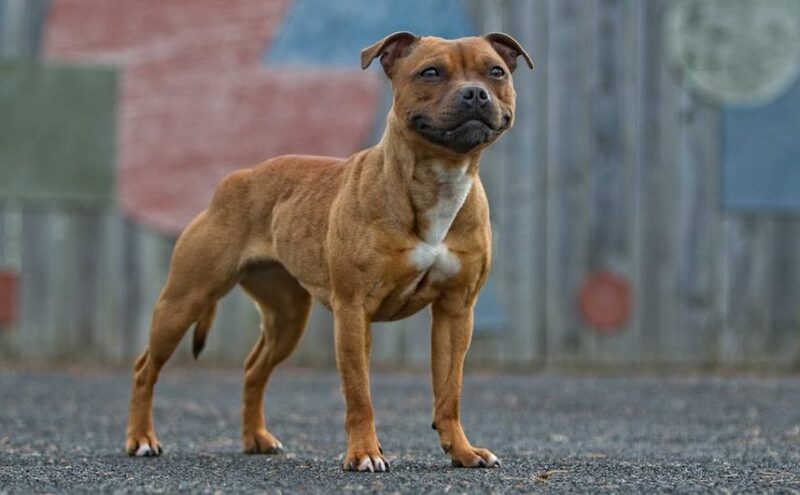 Besides having some amount of fighting instincts, these valiant dogs make for beautiful companions. Similar to the American Staffordshire Terrier and the Bull Terrier, the Staffordshire Bull Terrier also belongs to the category of bulldog breeds which developed at a time when cockfighting, bull baiting, and bear baiting were in vogue. 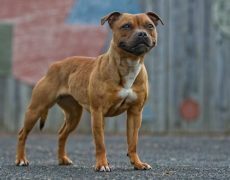 After these blood sports had been declared illegal in England in the year 1835, pit-dog wagering persisted where the canines were let into a pit, and the last survivor or fighter emerged as the winner. 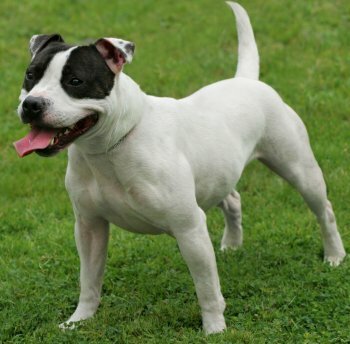 It was at this time that initiatives were taken by gamblers as well as dog enthusiasts to cross the bull dogs with certain terriers so that the resultant breed would have the former’s strong jaws and the latter’s passionate disposition. 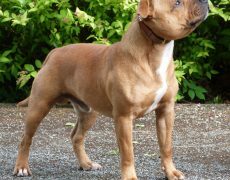 The Staffie was also created in this way with the landrace working breeds and bulldogs being instrumental in their development. 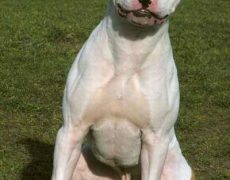 The efforts of one Mr. James Hinks, a resident of England’s Birmingham region prevented this breed from getting extinct like its other counterparts. 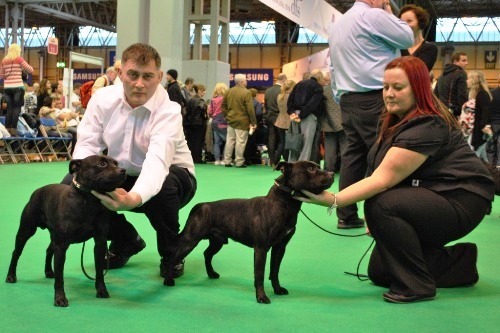 In June 1935 the Staffordshire Bull Terrier club had been formed, and the breed standards were written after that. 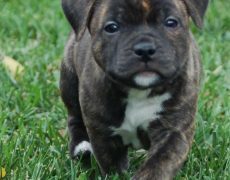 During the second half of the 19th century, its fame spread to America where its function was that of a companion dog. 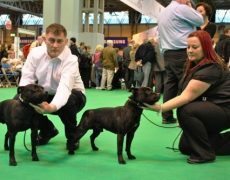 In 1974, the Staffordshire Bull Terrier Club developed and they gained AKC’s recognition the following year, with the first canine to be registered by them being the Tinkinswood Imperial. 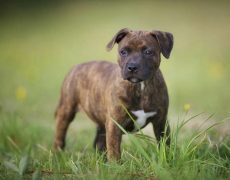 After it gained popularity in American a taller version of this breed had been developed, named the American Staffordshire Terrier (Amstaff). 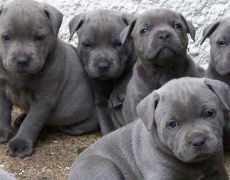 Years of successful breeding have managed to transition them from fearful mastiffs to perfect family companions. 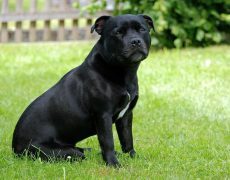 Though PETA had proposed to incorporate the Staffordshire Bull Terrier in the list of dangerous dogs to save this breed from abuse. 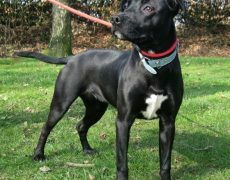 However, their pleas have been rejected, and it will not be included in the category of dangerous dogs. 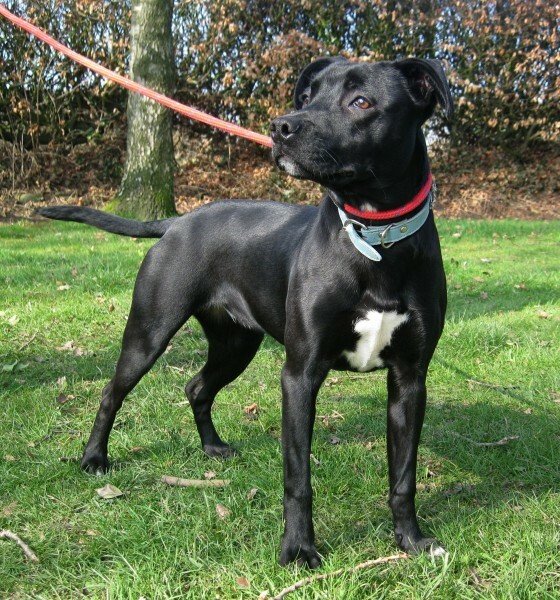 Behind their tough, fearless personality lies an affectionate, loyal dog, excelling as a great family pet. 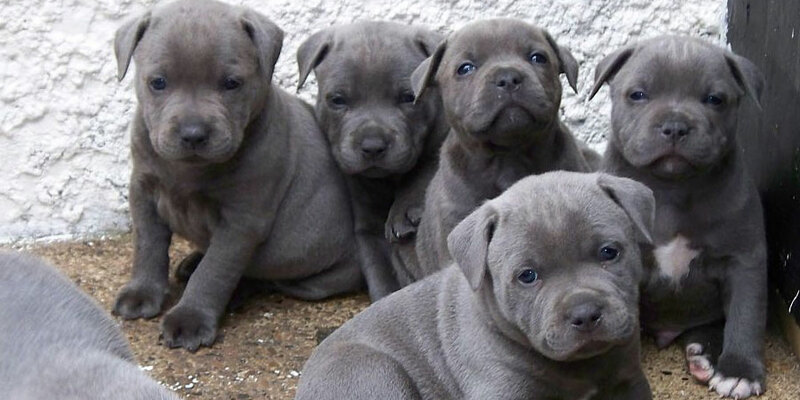 They love to be involved in the daily chores of their family and also enjoy a perfect snuggle with their loved ones. 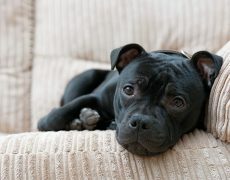 He cannot tolerate staying alone unattended for prolonged periods, which could perhaps make him bored and destructive. 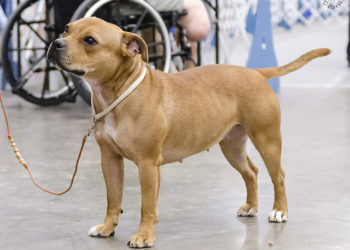 They love interacting with kids, and the love and care that they shower upon the little ones have earned them the nickname “nanny dogs,” who guard them to their might. 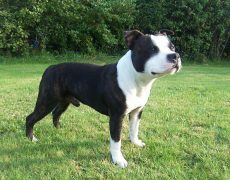 However, some amount of supervision is still needed when babies or infants are interacting with the Staffie. There have been differences of opinion regarding their interaction with strangers. 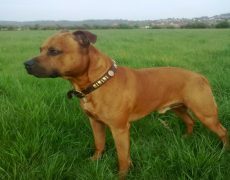 Most Staffie owners are of the view that they are not wary towards everyone, but selective people. They enjoy variety and challenges in their day to day life. 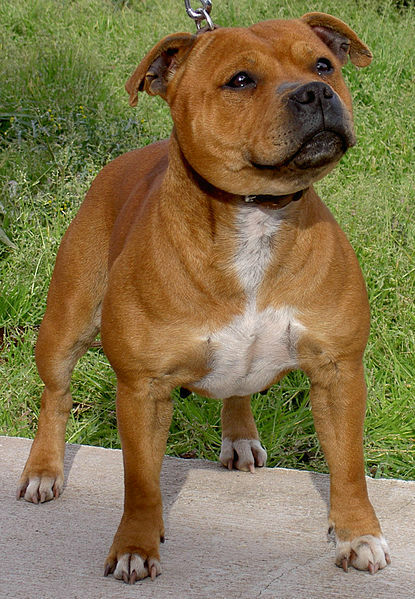 This fearless breed would not shy away from any daring task be it walking on glass or jumping from a high surface. 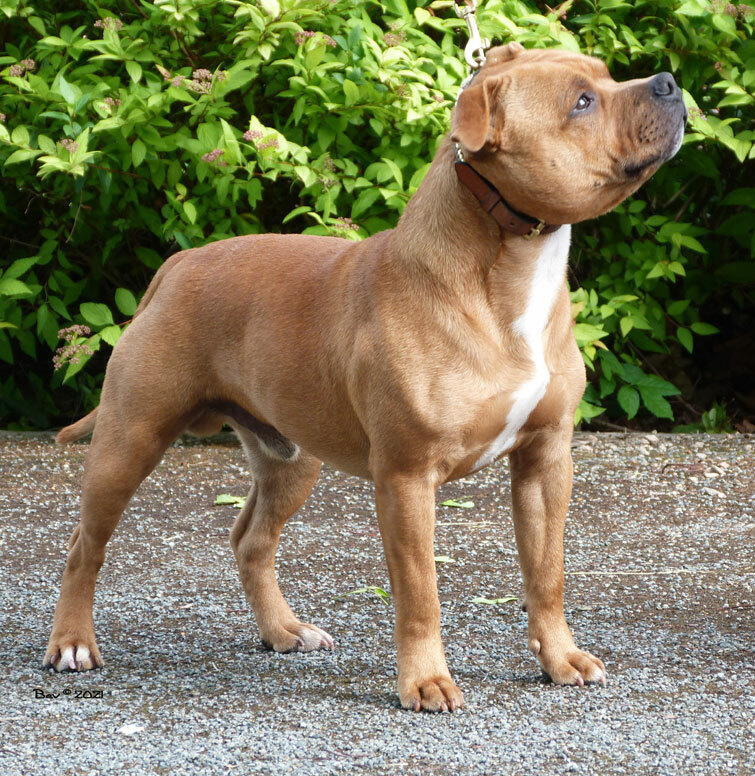 They have an inherent aggressiveness and fighting spirit all because of their past lineage. 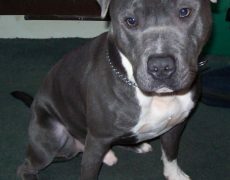 Hence these canines could be tough on other dogs if not socialized. 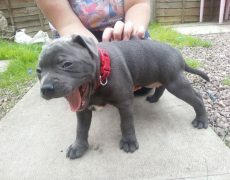 They are an energetic breed, thus having high exercise requirements. 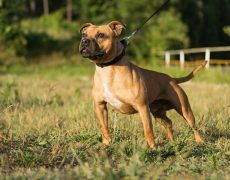 Besides two or three walks a day for at least half an hour, you can even engage him in interesting games in a fenced yard. 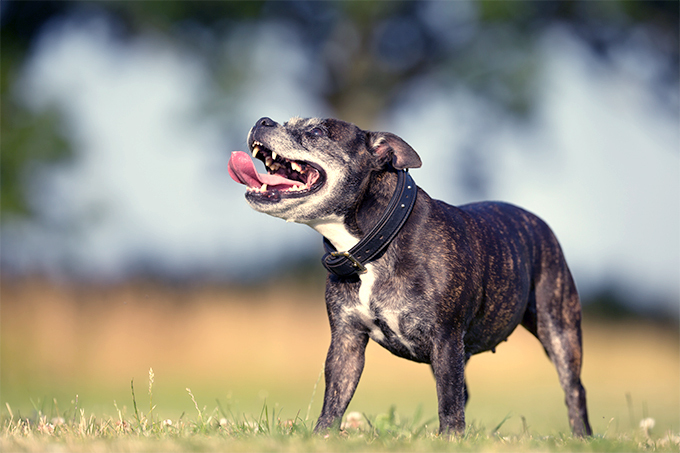 Never take your Staffie out without a leash. 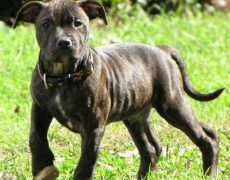 They are adaptable to all kinds of living conditions and can do well in apartments provided they get their daily dose of exercise. When indoors you can give them interesting toys, though make sure that they are strong and durable enough as these dogs have string jaws and can easily tear the ones made of vinyl. 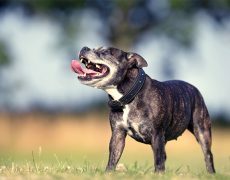 They are intolerant to heat hence do not take them out to exercise or for a walk when the temperatures are high as overheating could affect their health adversely. Note: Since they are adept at digging embed the fences in concrete or chicken wire. 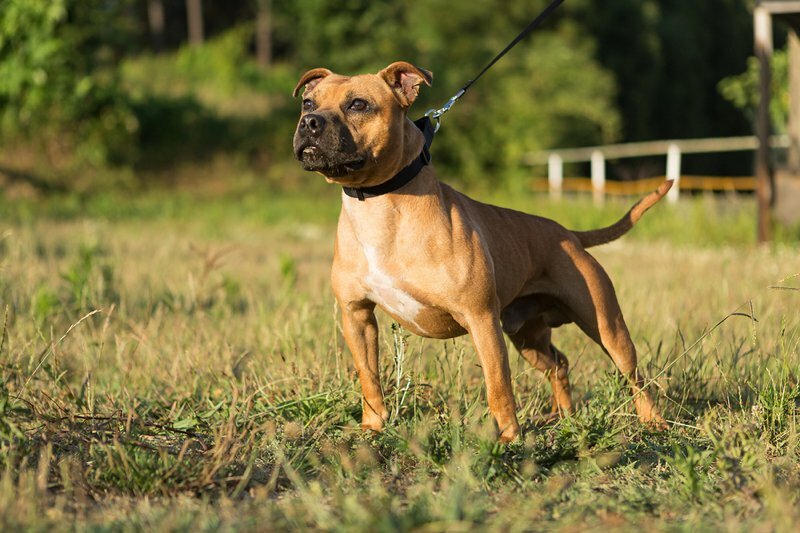 Avoid underground electronic fences, since these dogs would disregard the shock if they see another canine intruding into their territory, engaging in a serious fight. Being annual shedders they do not lose too much hair, hence brushing them once a week using a hound glove or horsehair mitt would help in removing the dead hairs and keeping their coat in a proper condition. Other regular grooming needs include trimming its nails, brushing its teeth as well as cleaning its eyes and ears. 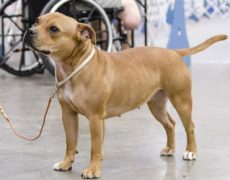 Some genetic conditions that this breed may be prone to include L-2-hydroxyglutaric aciduria (metabolic disorder leading to changes in behavior and symptoms similar to dementia) and hereditary cataracts. 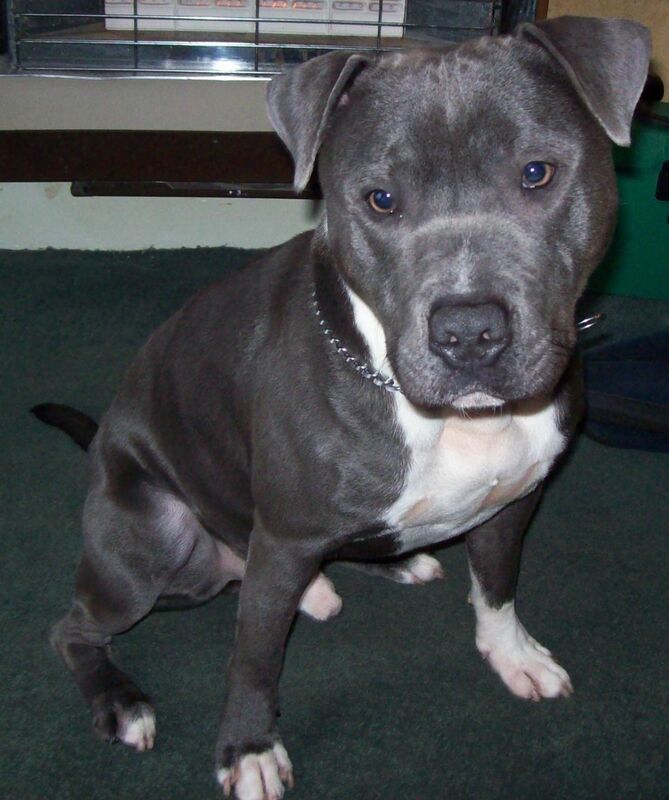 They are even at an increased risk of suffering from distichiasis (double eyelash) and mastocytoma (cell tumors). 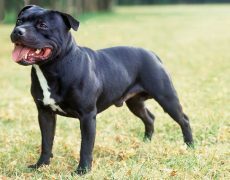 Though fierce and brave, their loyal and obedient nature teamed with a high level of intelligence, making them easily trainable, though their master or owner need to adopt a firm approach to have control over them. 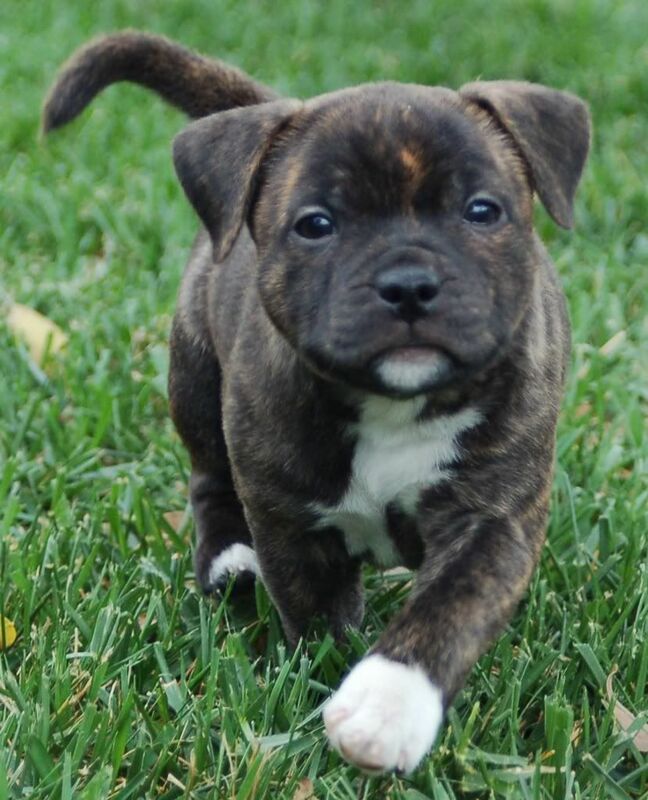 The Staffie puppies should be trained on obedience and taught to follow commands like: “stay,” “stop,” and “no” so that they may gradually transition to disciplined dogs and learn to control any destructive behavior the moment they hear your firm and loud voice. 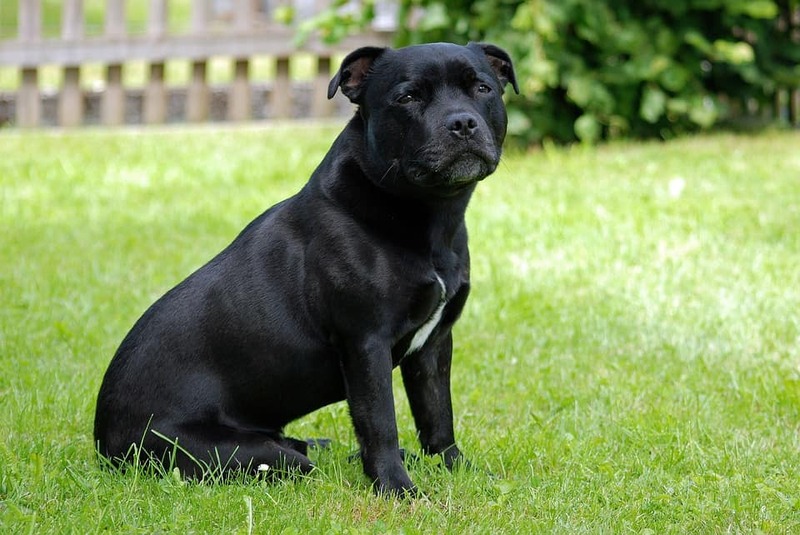 Note: Even if your Staffie is trained to engage with other dogs, never take it out without a leash and always supervise its interaction with other canines to prevent any untoward incident. 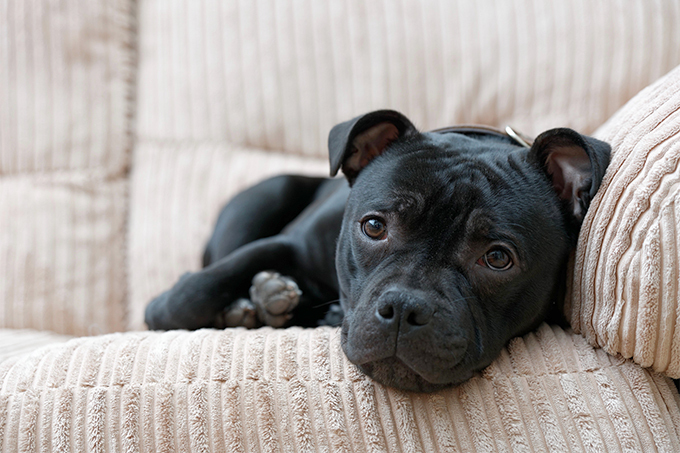 Staffies are not always shy towards strangers, while on the other hand, they are extremely aggressive with other dogs. 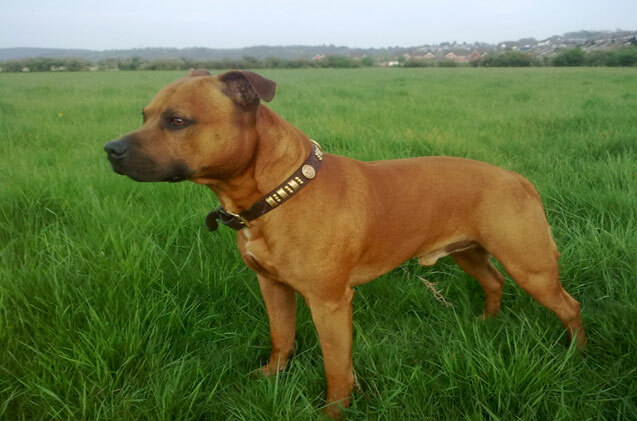 Hence, imparting these dogs socialization training by exposing them to a host of situations would help the Staffies to understand which unknown person is a threat and which is not. Making them interact with dogs since the time they are puppies could gradually help in lessening their aggression. 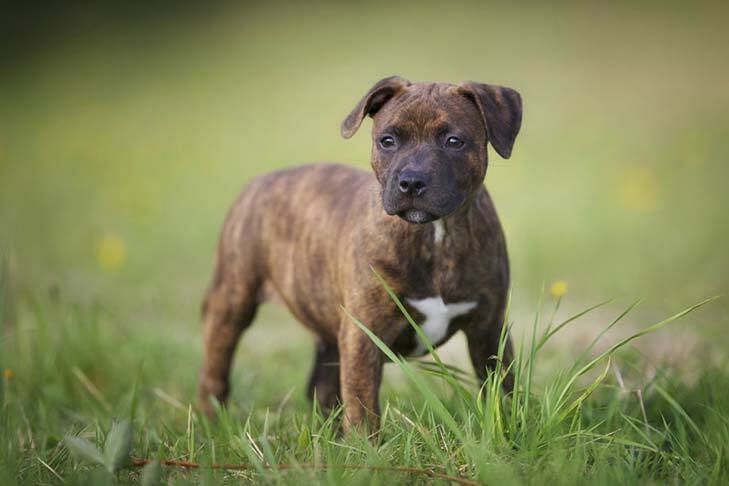 While choosing a good quality dry dog food for a Staffordshire Bull Terrier make sure you go for the ones that have all the essential nutrients and are devoid of colorings, flavorings, and preservatives. 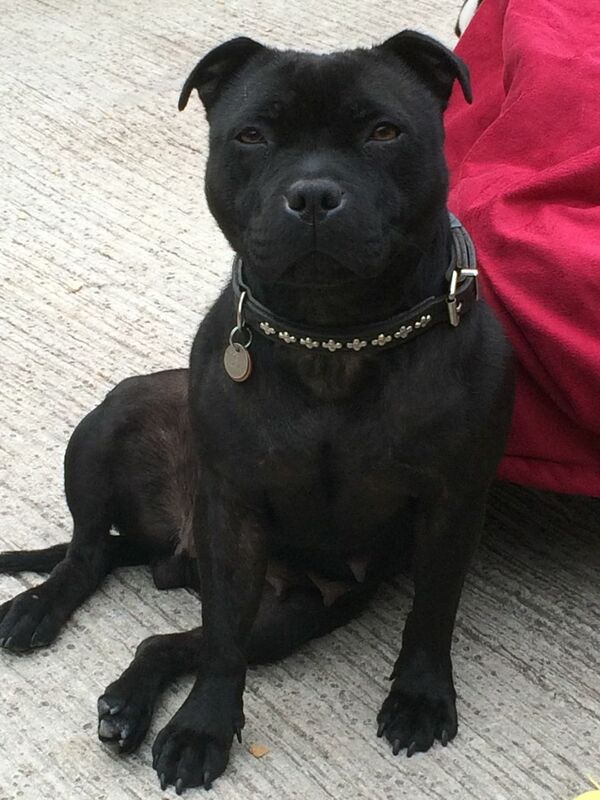 The countries where the ownership or possession of the Staffordshire Bull Terrier are banned include Ireland, Germany, Israel, Ireland, Malaysia, Romania, and Spain. 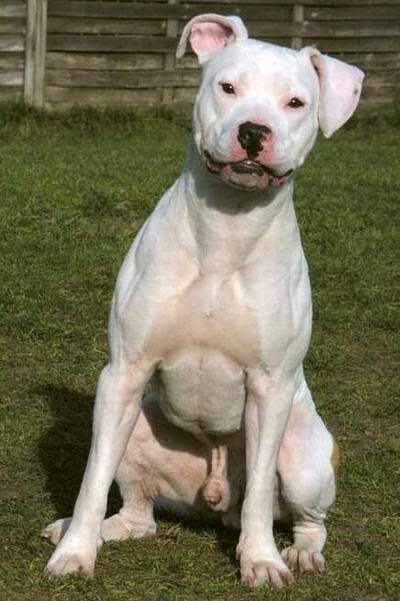 In the U.S, the states of Kansas, Iowa, Denver, Colorado, Arkansas, Maryland, Missouri, Wisconsin, Springfield and West Virginia, the ownership of this breed is prohibited. 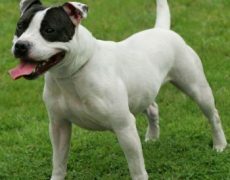 A Staffie belonging to a judge of the Kennel Club had killed a Jack Russell Terrier, also injuring its owner. 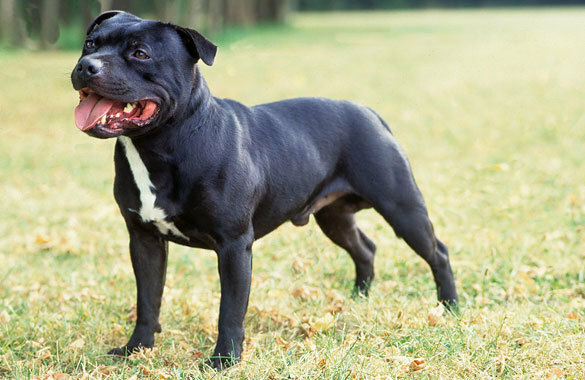 In 2017, a dog of this breed killed its owner when the latter was making a documentary about drugs. 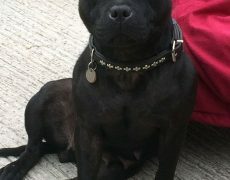 A six-month-old Chihuahua puppy was killed by a Staffie when the latter was out for a walk with its owner.